Couldn't find the previous thread for some reason... don't know if its my browser or if its been merged with another thread. Ok, I need some details. Comes as part of the DYRL BD disk - just like the games that came with the two Frontier movies. 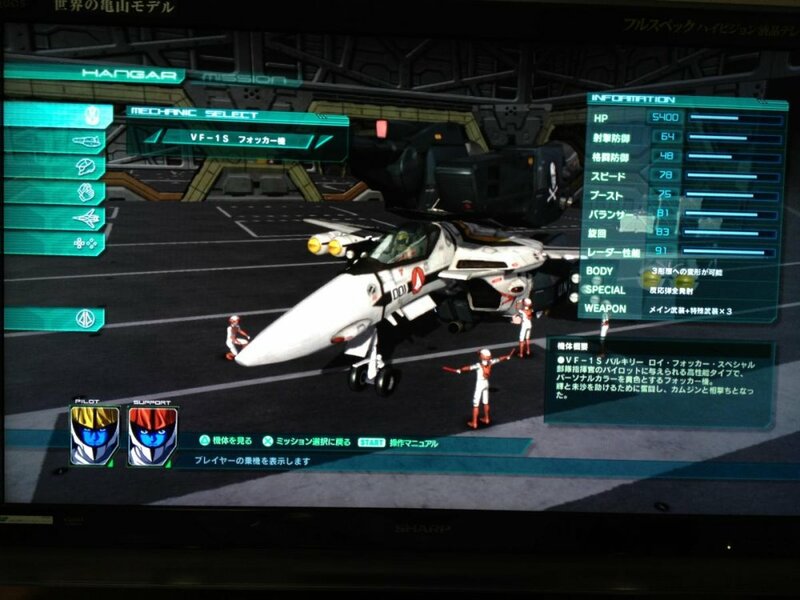 Yes, of course Japan only and therefore PS3 only. Gameplay is the same as the other games in the series. This makes my heart weep. I'm sick of these games being Sony only. I don't own Sony products. Interests:Macross, Southern Cross, and Mospeada. Also, anything related to anime. The game looks good. I'll probably try to get this at a deep discount somehow. They're sure as hell not going to put it on the 360, and the PSP seems to be the dominant handheld in terms of mecha games. ug something else I want but cant get or use here I so want some new macross games. Happy The Super Dimension Fortress Macross Hybrid Pack [30th Anniversary Box] Release Day! The ultimate dilemma I am facing, besides the bill, is to open or not to open....The collector in me wants it to remain sealed and pristine while the gamer / Macross fan in me wants to open and play and watch and generally dig around like a pig looking for truffles. Thankfully everyone here at MW have uncovered the fact that the BD of DYRL will be edited for violence. Violent images that are commonly shown in everyday commercials. I still would like to see and more importantly HEAR what the BD has to offer. I still dream of a day when I can afford/find a copy of the Macross Plus Limited Edition Blu-Ray. Now I'll wait while EMS takes, what will seem like, forever. No. Bandai was asking fans to lend them items from their collections to replicate for the collectors box. At one point they provided a list of things they wanted to borrow. Japan and USA share the same region lock. I think ps3 games are region free. Yeah but I don't own a PS3, nor am I willing to pay the price they want for the BD. So I'm SOL. Forgive me if this sounds rude, but to me, that just sounds like, "I want it, but I don't want to buy it! Life is so unfair!" Yes, open it, otherwise you might as well have paid for an empty box. If it was a nice display then things would be different, but it is just a square box. Also, I noticed that that photo is actually old. 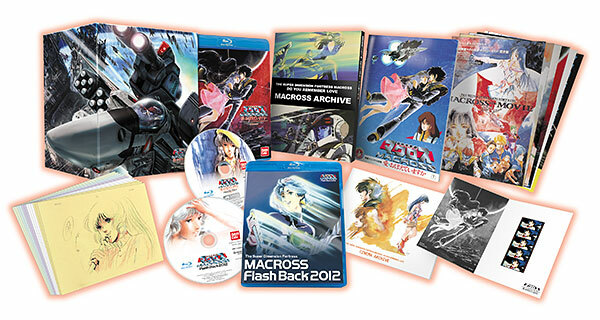 The design on the discs and the cover of the "Macross Archive" book has been changed. Interests:Macross (durr), translation, theatre, gaming, bonsai. It is not a bad little gamelette all told and - despite my constant whining about the film quality - it has me nostalgia-izering like a good-un. Considering everything, I'd still say the box is not a bad deal, especially as (perhaps because of the volume of gripes, even here) I have noticed that the pre-sale hyped prices have slipped back to more reasonable levels. As for the game itself -- I think it's great, but of course, that's because all of Artdink's Macross games have been great (or at the very least, the same game, pretty much). I love the custom soundtrack feature. When large capital ships attack, they now do so to the beat of "Face to Face" by Daft Punk. Deculture! Not all. I believe they put a lock on Persona Arena. But that's coming out in a week or so over here anyway. 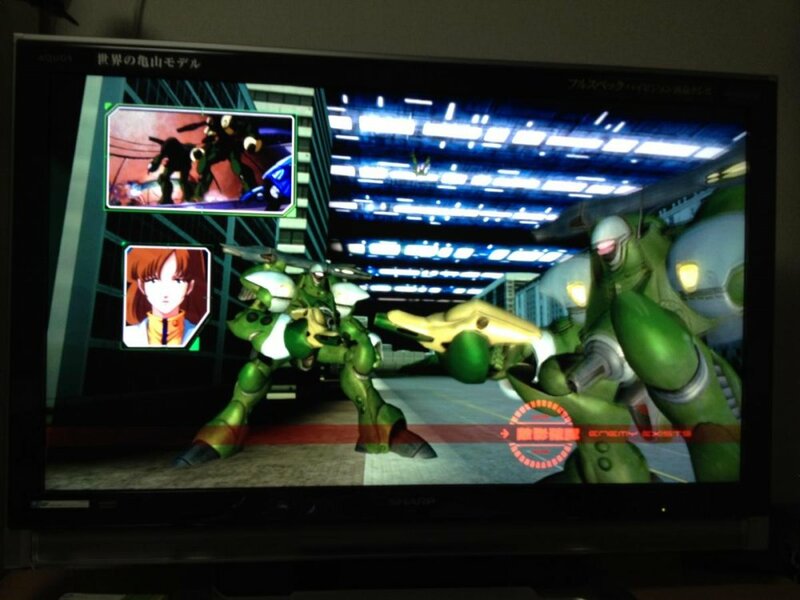 However, this stuff with Macross needs to stop. It's the 30th anniversary. We should be getting all the games and movies over here. Enough is enough with whatever nonsense they have going. 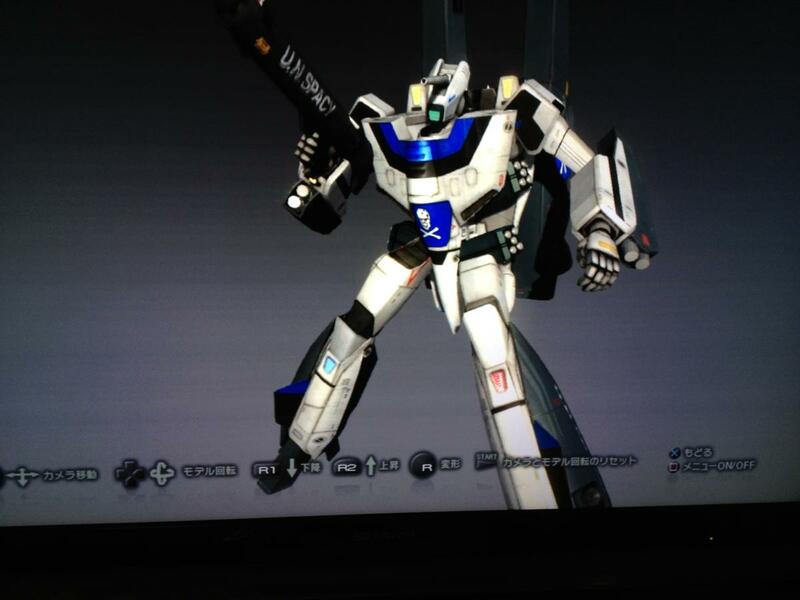 The new Robotech series are poor. The last one I watched for free (thankfully) online and I couldn't believe how dull it was. The games I believe never make it out. I picked up a comic like 10 years ago for the cover. So I just recieved my Box set as well. Loving it so far. Of course it's all in Japanese but what the heck. I can live with that. My buring questions for those in the know, is the PS1 Game Code Voucher. I have it in my hand, but when I try to redeem the code via the Playstation store is keeps telling me "The code you have entered may not be correct or may no longer be valid. Please check your entries." Of course I've checked. It could be just not ready yet, most the the time the store does not update till Tuesday in the U.S. Still wondering if I'm the only one experiencing this. ^great choice of song for large ship battles ! custom soundtrack feature sounds awesome, i wanna buy just the game. If anyone out there got the BluRay set and has no need for the PS3 game, let me kno. Are you trying to redeem it on a Japanese PS Store account? Redemption codes are probably locked to regional stores. Yes, I was afraid of that. 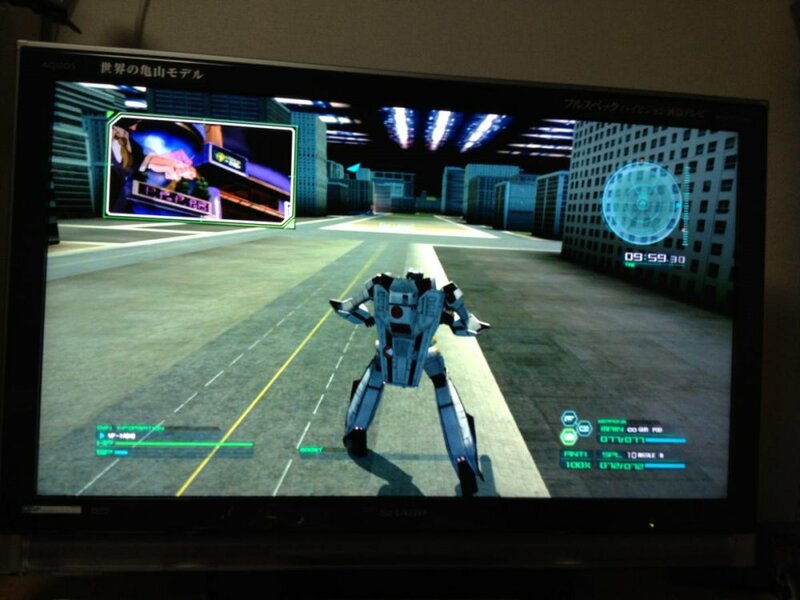 One thing about the disc itself -- I had to update the PS3 firmware to play it. Neither the game nor movie worked otherwise. I feared the worst. I hate updating because usually everything is much worse afterwards. Anyway, as a result, my PS3 now is dead slow when accessing the internet, lags all the time, and it has crashed 3 times in 10 minutes. I hate you, Sony. Go straight to hell -- do not pass GO, do not collect $200. Straight to hell. Anyone else have to do this, and/or experience issues? I'll try mine when i get home tomorrow. My PS3 may already be up to date after the last few visits to the PSN store this week. There is something that you can do when the PS3 is slow & has hiccups after a mandatory update. I'll see if i can find it. I've had that problem a few times in the 6 years i've had one & there is a type of soft reset that clears it up. Oh is this going to be the official Trophy hunter/ walk-through/ tips & tricks thread for this game or is that somewhere else? Well you have to have a japanese account on the japanese PSN store. Then log in & redeem the code. I've seen it done on Xbox but have yet to confirm the step-by-step instructions for Playstation. I found this instructional video to reset the file system on a PS3. I've done this a few times over the years after a bad update & it usually fixes any crashes & slow downs. It doesn't delete any saves or anything critical kind of like a defrag. 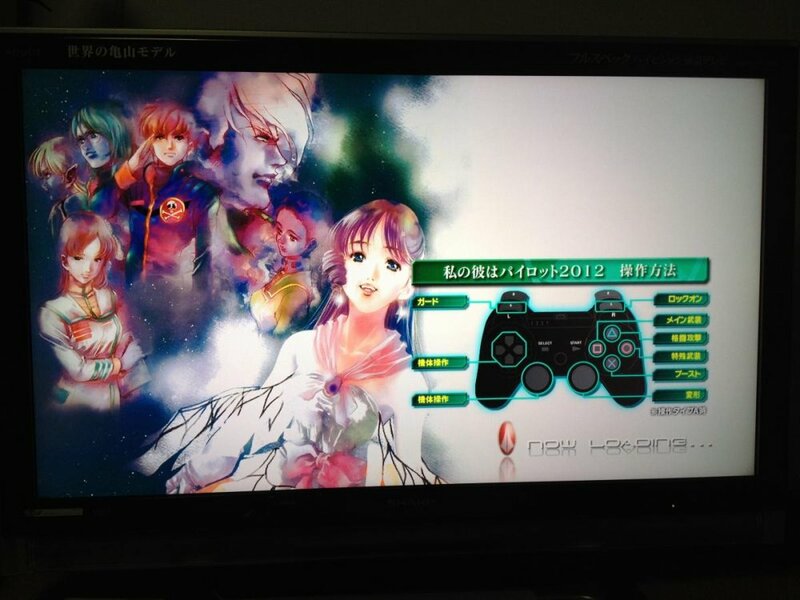 Good to hear the game is as good as the psp ones. I'm still holding out for a full PS3 game but that seems less likely every Blu-Ray release. 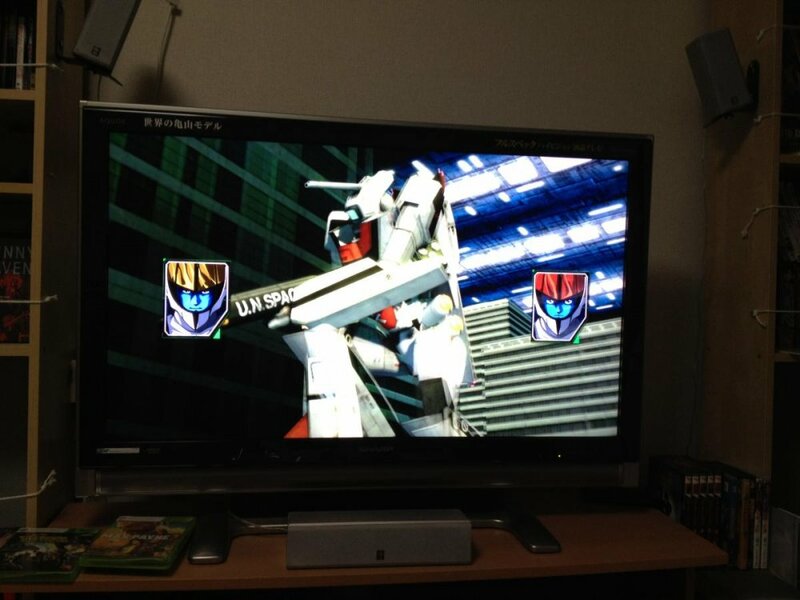 Is the PS/Saturn DYRL game rare now? I still have the Saturn version boxed away. Wow. Thank you soooo very much. That has made my day. Very much appricated. I just started playing, and have only done the first 5 stages. So far I'd say it's less polished than Last Frontier, but more polished than Trial Frontier. 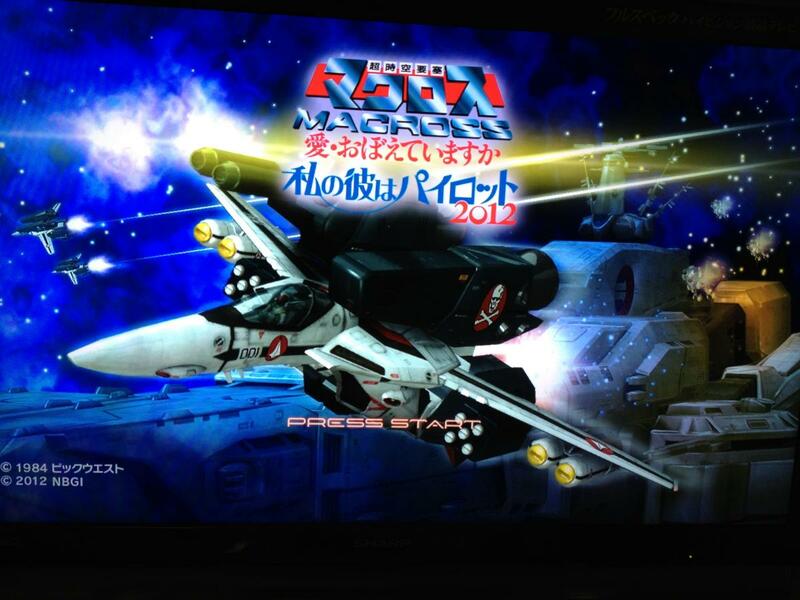 I want a Macross for Nintendo consoles, but Namco don't make one. I wait for one to WiiU now. Hm so I'm guessing this PS1 voucher code is only for those with the LE version? Don't see any voucher in my regular edition, that's lame if so. Otherwise, I like the game despite how horribly short it is. Great graphics, but shorter than a top dog Xbox game.